The music in this box set does indeed demonstrate masterful arrangements of sounds and sources, movement and melody, humour and seriousness, that can well be described as magical. It is also a set of unpredictable keys and ciphers, revealing a unique worldview where high artistic rigour meets continual openness to chance and serendipity. In this, Holger not only cut and pasted music, but time, place and mindsets, when such things in popular culture were not only technically near impossible, but virtually unprecedented. That album was made while the hydra-headed beast that was Can was first stirring in its mission to fuse rock, jazz, global music and the avant-garde: for reasons of space we must leapfrog these years of high magic, suffice to say that all their records are infused with the Czukay spirit, just as his records are infused with the Can spirit. By 1977, however, he had given up his bass playing role in favour of what has been called his ‘Weltempfänger’ (or ‘World Receiver’), a table of radios, telephones and tape recorders which he “played” and wove into the Can’s playing. Holger departed Can in 1977. The same year he joined Brian Eno, Hans-Joachim Roedelius and Dieter Moebius on their LP Cluster & Eno, playing on the fluid, mantric piece Ho Renomo. 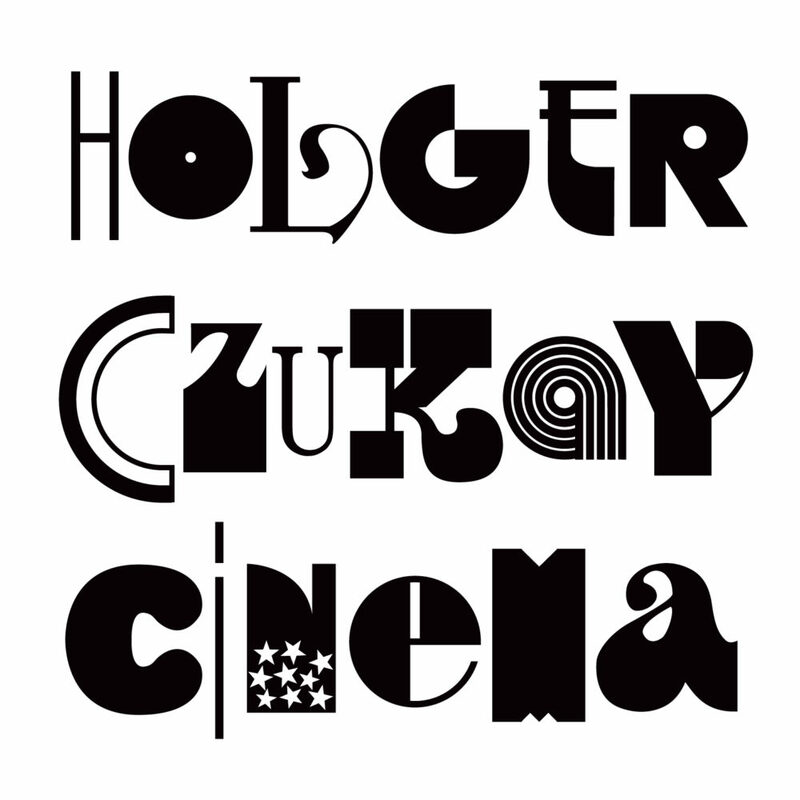 With his next solo album Movies (1979), Holger would have complete freedom. Perhaps his most feted and groundbreaking work – he was voted Musician Of The Year in Sounds Germany on the back of it – its creation commenced when began experimenting playing double bass to TV broadcasts. Soon, he was finessing the techniques that he would employ time and again: spinning dials in search of far-flung shortwave radio broadcasts of singers to sample, playing notes on guitar, which he would speed up, slow and manipulate, and ultimately editing the tapes to give the music its final shape. Holger likened this process to the USA’s Manhattan Project that led to the atomic bomb, Dr. Frankenstein’s creation of new life and the god-like role of a film editor. A landmark in sampling, some of his definitive recordings appeared on Movies. Elements of Hollywood Symphony must be counted among the early stirrings of acid house, while the beauteous Persian Love, which featured voices from Iran, was admired by his mentor Stockhausen. Meanwhile, the unhinged dance pop of Cool In The Pool showcased Holger’s singing, much to René Tinner’s amusement. Movies was recorded at Can’s base in Weilserswist – all his former bandmates would play on it – and mixed at Holger’s friend and collaborator Conny Plank’s studio. The two would record the electro-horror 12” Les Vampyrettes in 1980: both of its tracks appear here. There would be other collaborations at this time: in 1981 Holger, Plank and Can drum genius Jaki Liebezeit recorded an album of stern dance-punk with Osaka singer Phew, despite there being no common language among the musicians. Cult Neue Deutsche Welle group S.Y.P.H would appear on the same year’s On The Way To The Peak Of The Normal, which included the sinister alchemical skank Witches Multiplication Table and intoxicating epic Ode To Perfume, which Holger recalled playing to passers-by in the street in order to ask for their opinion. The latter album also featured PiL’s Jah Wobble, who would join Czukay and Liebezeit for the dub-dance strangeness of 1982’s Full Circle. To ensure creative spark, says Tinner, Holger employed tactical troublemaking. Tinner had a unique vantage point to see Holger working – mostly at night – and agrees his sense of the absurd was part of his creative process. “Absolutely, absolutely,” he says. “It was, ‘think different, think free, don’t be pushed by whatever’. Holger would do his share of eavesdropping on 1987’s Rome Remains Rome. The kids singing on Hit Hit Flop Flop – where hi-life meets a marching band on another of Czukay’s warped dance tunes – were unaware they were being taped. “When in the studio, I like to take people on and record them without letting them know,” said Holger, “I said to these two boys, please sing ‘hit, hit, flop, flop’, and they followed me. But they should never think that they’re getting recorded!” The album, which featured Can guitarist Michael Karoli as well as Liebezeit and Wobble, reached another peak on Perfect World, a Latin hip shaker with American vocalist Sheldon Ancel questioning unknowable fate alongside the sounds of James Brown and gunfire. After working on Can’s reformation album Rite Time (1989) and two trance-inducing collaborations with David Sylvian, Holger’s next solo record was 1991’s Radio Wave Surfer. Described by its creator as a “live experiment”, it’s a stripped, more shadowed work than its predecessor, with spontaneous performances recorded onto one microphone and then edited by the maestro. Ride A Radio Wave finds diaphonic singers in the electromagnetic ether, while the fragmentary Through The Freezing Snow recalls the war years with the same shocking quality as Kraftwerk’s Von Himmel Hoch. Much fascinating music would follow in the nineties and beyond, but our final three songs leave chronology behind. Breath Taking, created in the mid-2000s using a rare recording of Stockhausen’s voice, is a languid electronic piece that suggests the sun rising over the arctic tundra. The Czukayian trip hop of La Premiere and 21st Century are of similar vintage: both are sung by U-She, AKA Ursa Major. Holger’s partner of many years, she sadly passed away earlier this year.